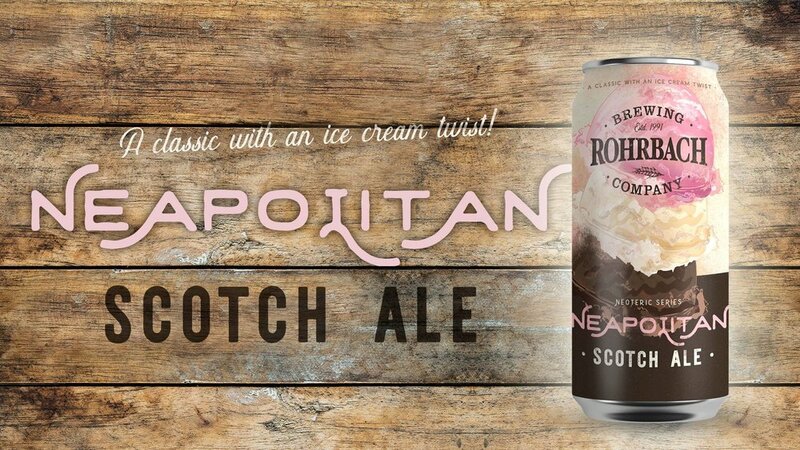 An ice cream twist on our classic Scotch Ale, this brew was originally made in collaboration with the Beer Market Rochester. Brewed with lactose for a silky smooth body, then conditioned on vanilla, cocoa nibs, and 1 lb. per gallon of strawberry puree, this Neapolitan variation keeps our classic Scotch Ale’s full body and sweet caramel flavor that we’ve all come to cherish. • grab a freshly-filled 4-pack; even grab a mixed pack of Neapolitan Scotch and Cookies & Milk Stout! The beer release and limited glassware will also be available at our Buffalo Rd. Brewpub!